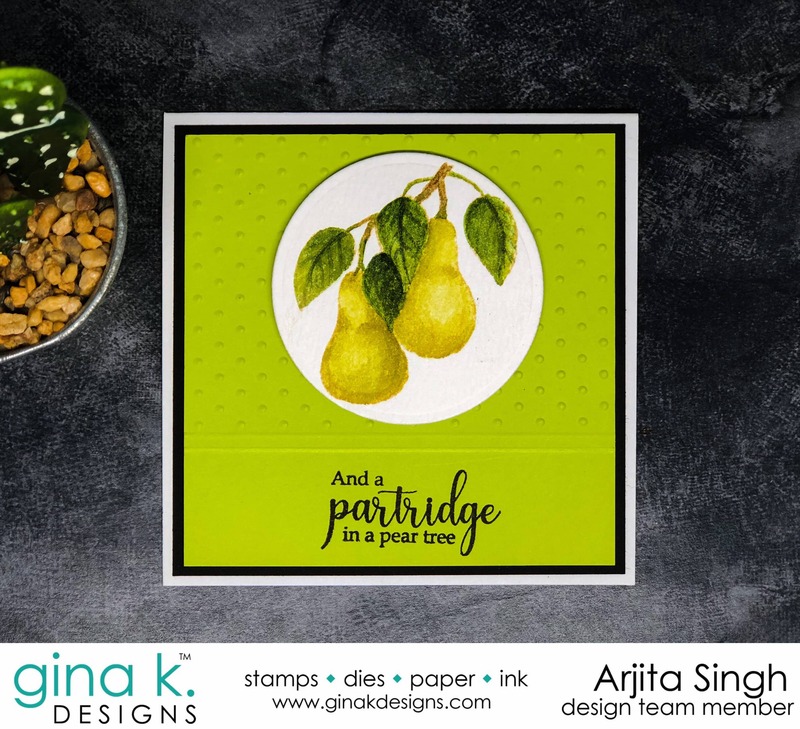 Today's post is all about the new Stamp Tv Kit called the FRUIT OF THE SEASON which consists of two gorgeous stamp sets ,dies and coloured carrdstock.The first stamp stamp set is full of beautiful realistic images and I have created two cards using it. 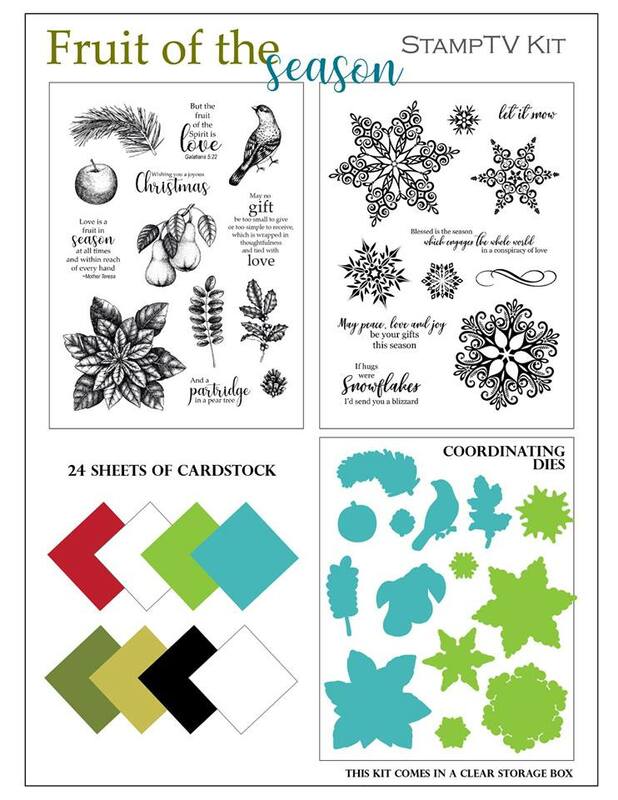 The other stamp set is full of intricate snowflakes which is a must have stamp set for everyone. 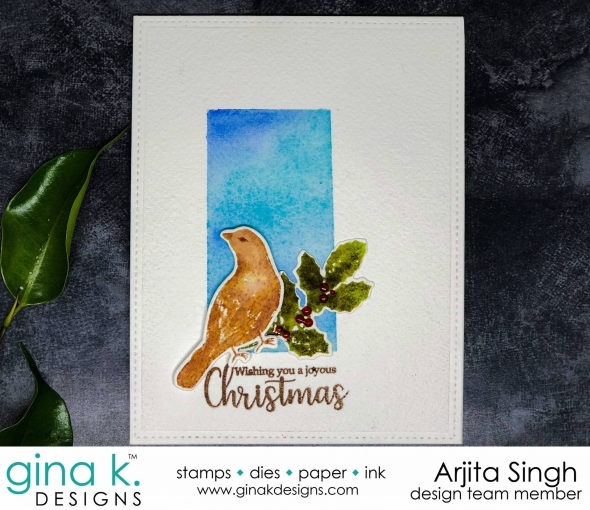 This card is very easy to create and I used some distress inks to create the sky, leaves and the bird. I did not add much details on the images and kept it rustic and messy. 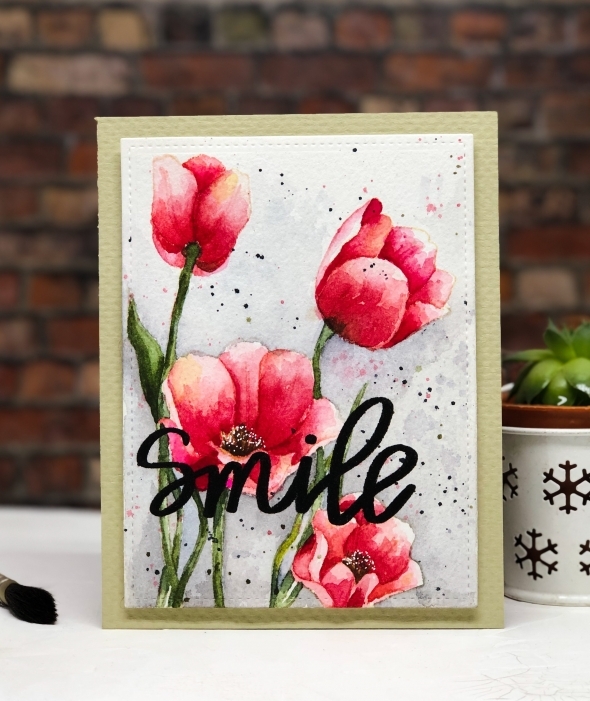 For the second card I stamped the image in Antique linen and coloured it with water colours. 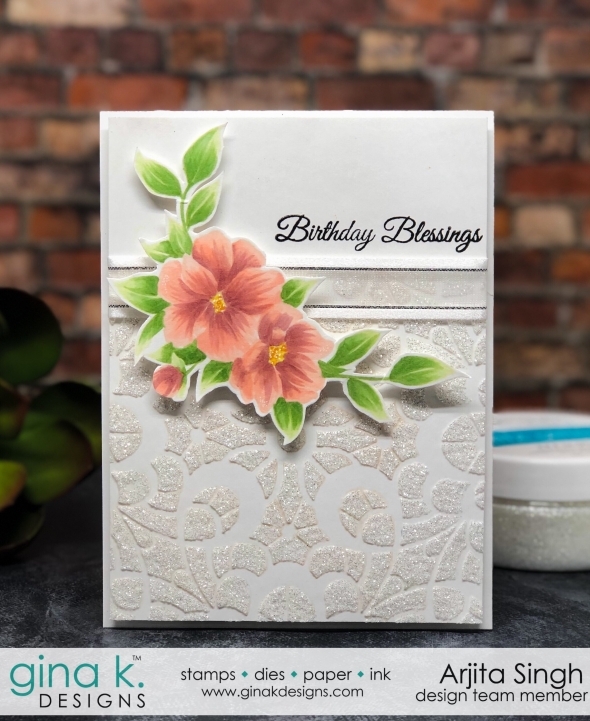 I used an embossing folder to create a background and really love the way this card turned out. This next card is created using the Snowflakes. 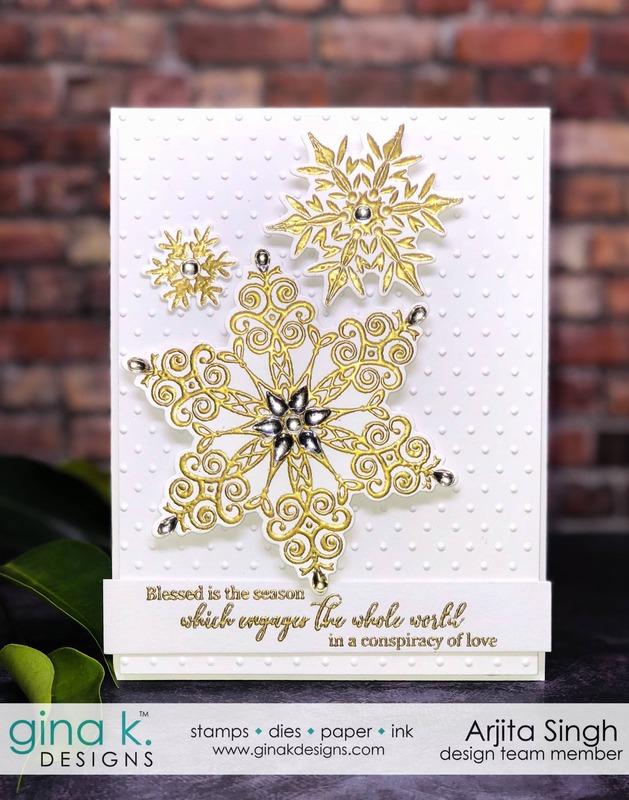 I heat embossed three snowflakes in gold and used the coordinating dies to cut them. Keeping the card simple I just adhered these on a white card base. 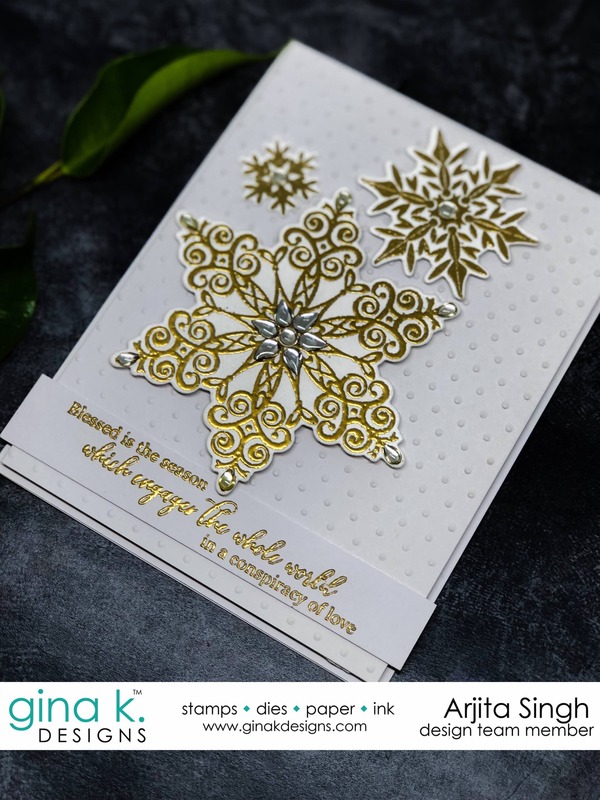 To finish the card I used some Kundan/Bling on the snowflakes. 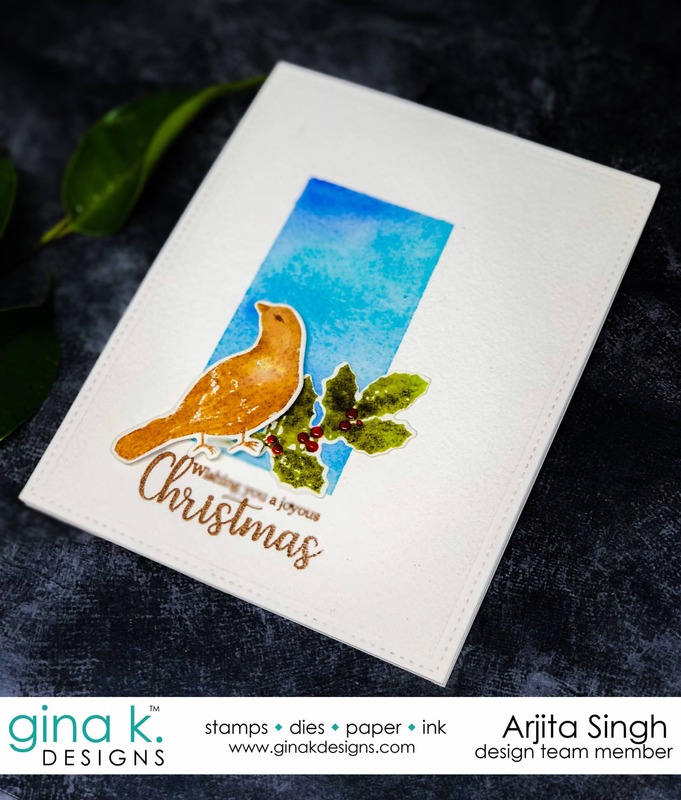 This is a gorgeous golden card which is perfect for christmas wishes. 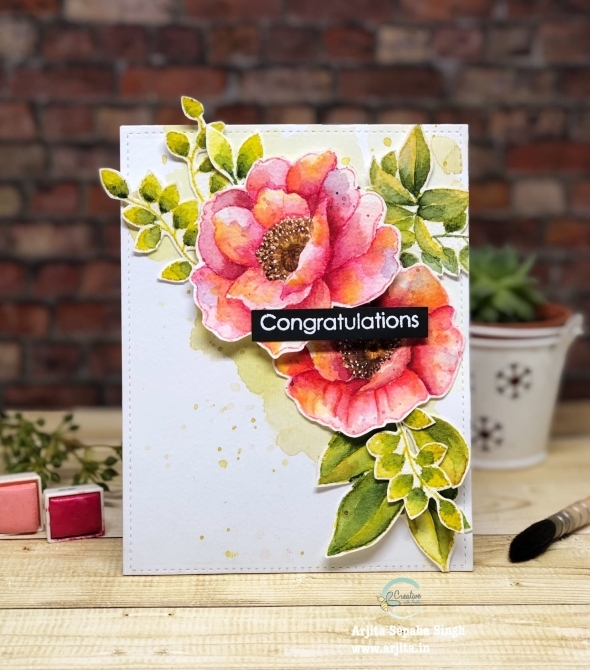 This is a bonus card which I created using the Incentive stamp set for the month.This is a fun card which was super quick to create. 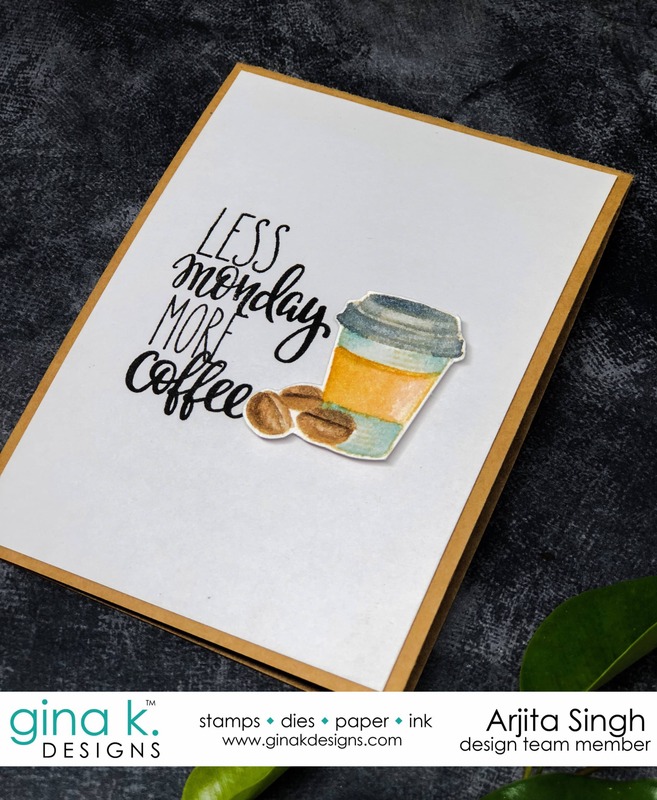 These stamps are available at www.ginakdesigns.com so visit and get yours. 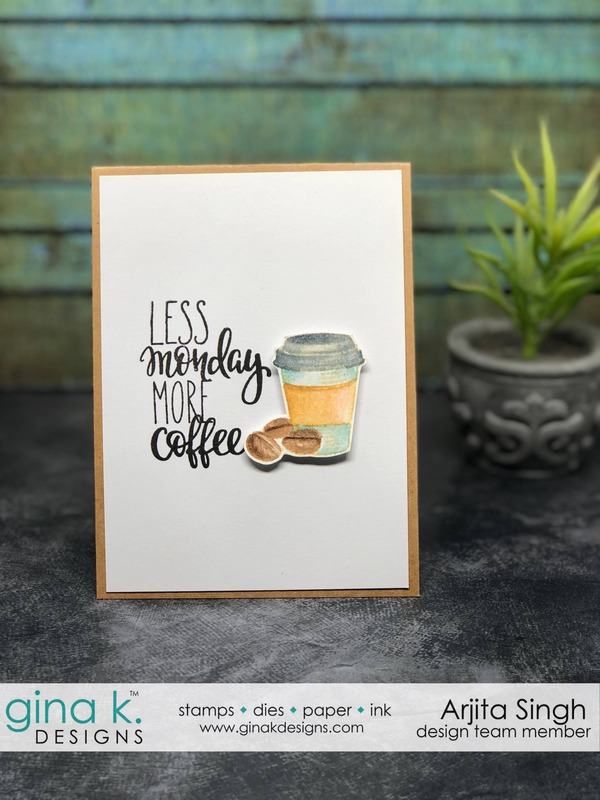 Now I would like to invite you to the blog hop where you can find amazing inspiration and ideas to use the stamps. 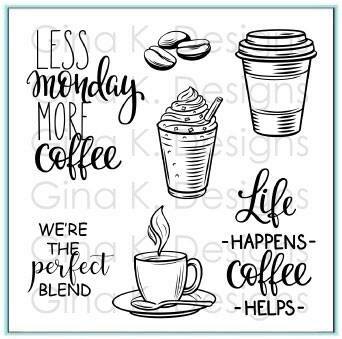 You can also win a $50 Gift Certificate from Gina K designs if you leave us some comments. 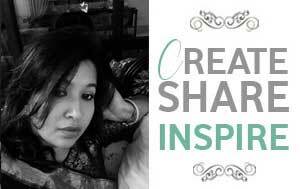 ​Thank you so much for all the wonderful comments you have sent in ... they are priceless for me. Beautiful cards! Love the snowflakes! 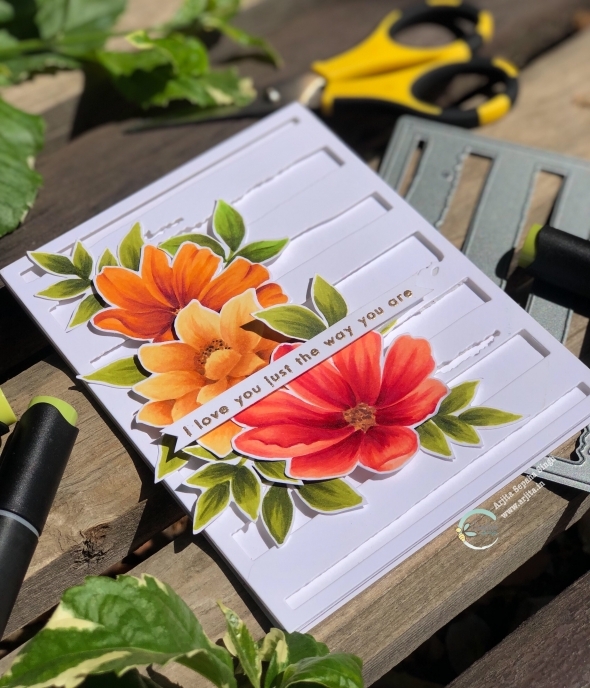 Your cards are all gorgeous! 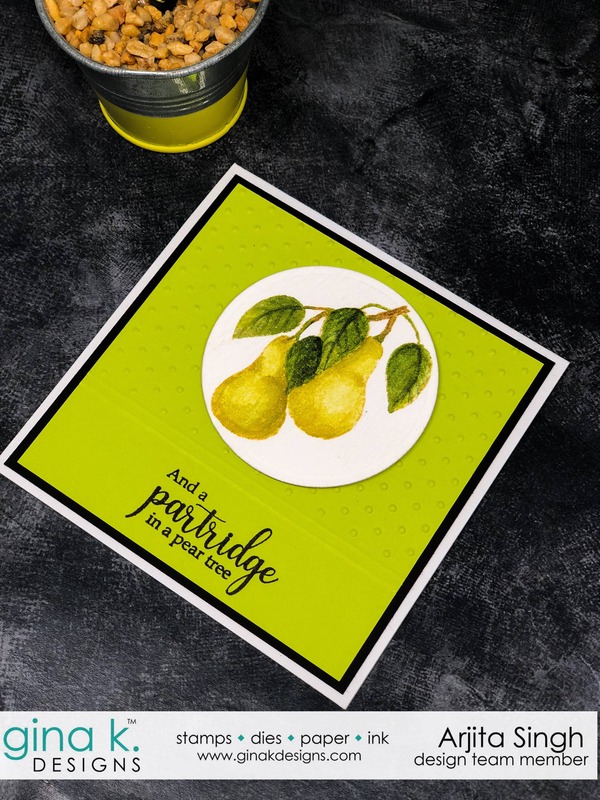 Simple & beautiful cards. Love the snowflake stamp set.